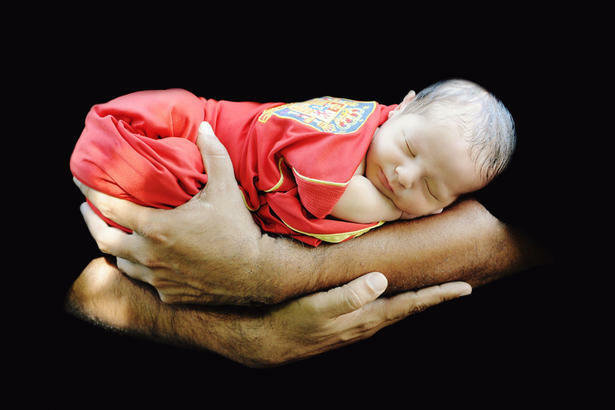 We have randomly picked few photos of fans and would like to share the Spirit with football lover for this year UEFA Euro 2012. Whichever team are you on, check this out to get a flash back for this unforgettable memory and Congratulation to Spain for winning the Euro Cup 2012. Spain’s soccer fans cheer before the start of their Group C Euro 2012 soccer match against Croatia at the PGE Arena in Gdansk, June 18, 2012. 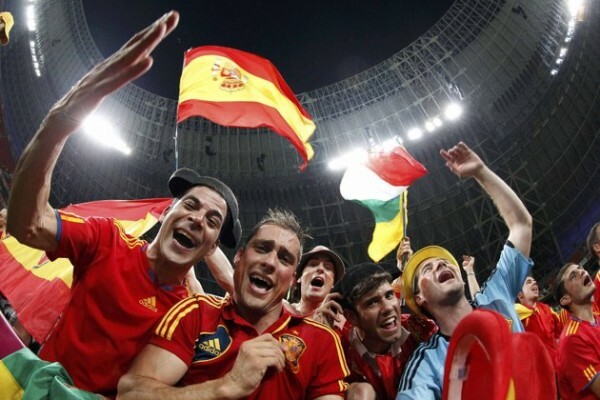 Fans of Spain celebrate at the end of their Euro 2012 quarter-final soccer match against France at Donbass Arena in Donetsk June 23, 2012. 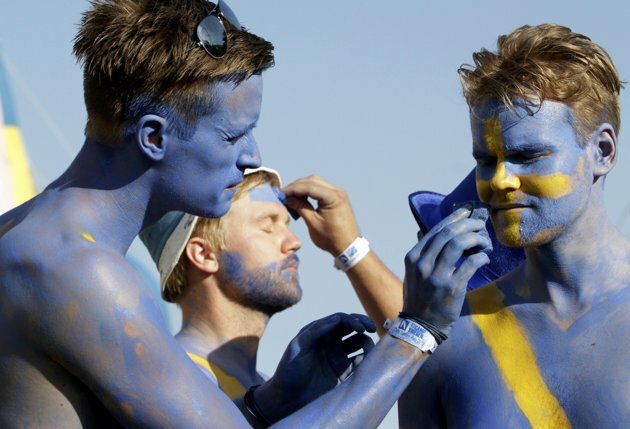 Sweden soccer fans paint each others faces before marching to the Olympic stadium in Kiev June 11, 2012. 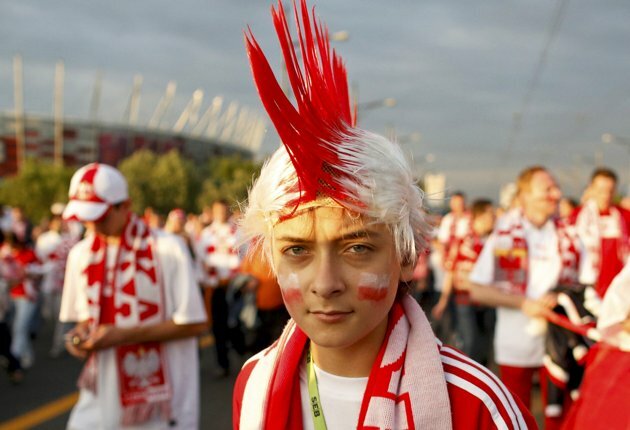 Polish fans leave the National Stadium after the Group A Euro 2012 soccer match between Poland and Greece in Warsaw, June 8, 2012. 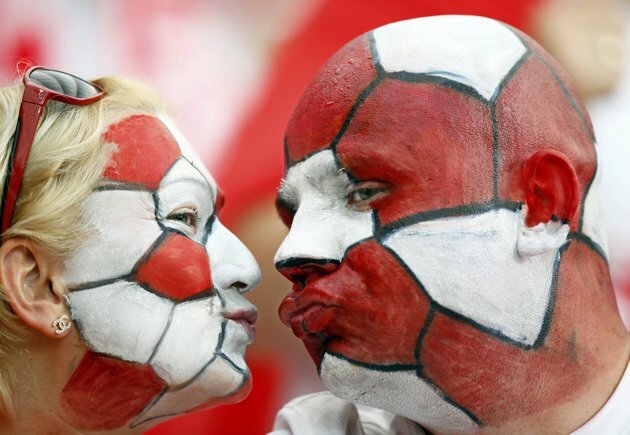 Fans of Greecee cheer before the start of their Group A Euro 2012 soccer match against Poland at the National stadium in Warsaw June 8, 2012. 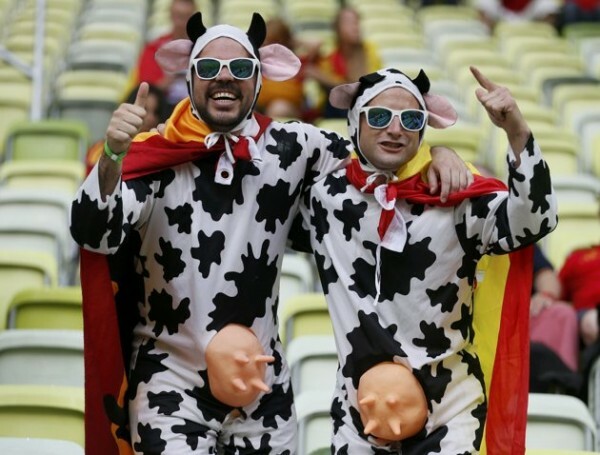 This must be one of “truly” fans of the Spaniard and worth for inspiration. 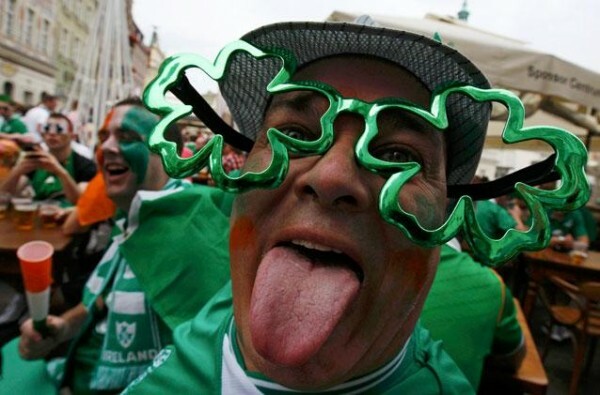 An Irish supporter reacts before the Euro 2012 soccer match between Ireland and Croatia in Poznan June 10, 2012. 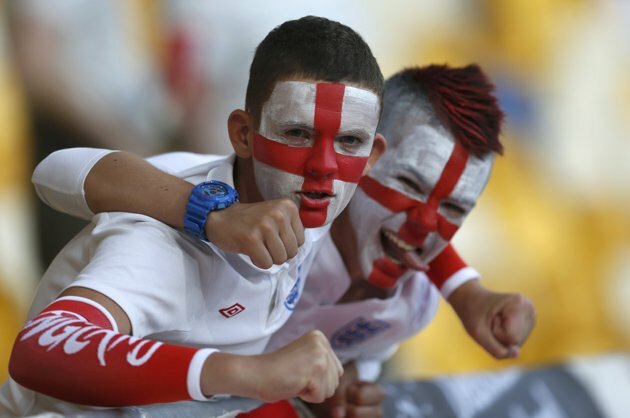 England soccer fans cheer before their Euro 2012 quarter-final soccer match against Italy at Olympic Stadium in Kiev, June 24, 2012. 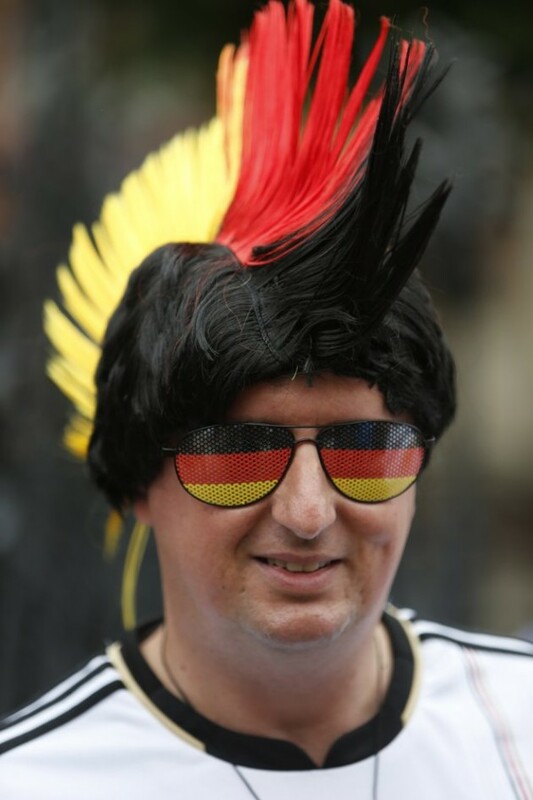 A German fan sports the colors of the German flag before the Euro 2012 soccer quarterfinal match between Germany and Greece in Gdansk, Poland on Friday, June 22, 2012. A Germany soccer fan kisses a Greece fan ahead of the Euro 2012 soccer match between Germany and Greece, at the Old Market in Gdansk, June 22, 2012. 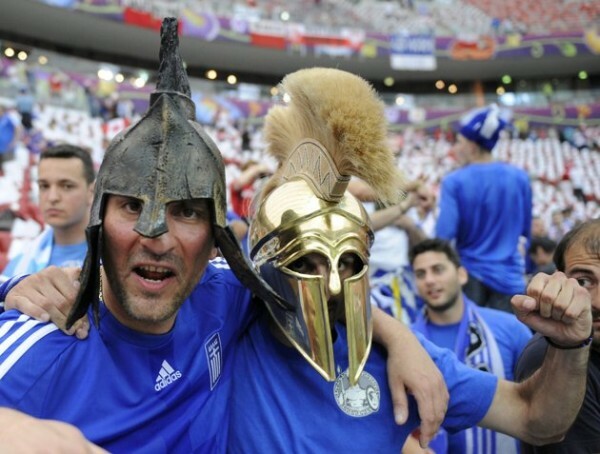 Greece’s soccer fans celebrate victory against Russia after their Group A Euro 2012 soccer match at the National stadium in Warsaw, June 16, 2012. 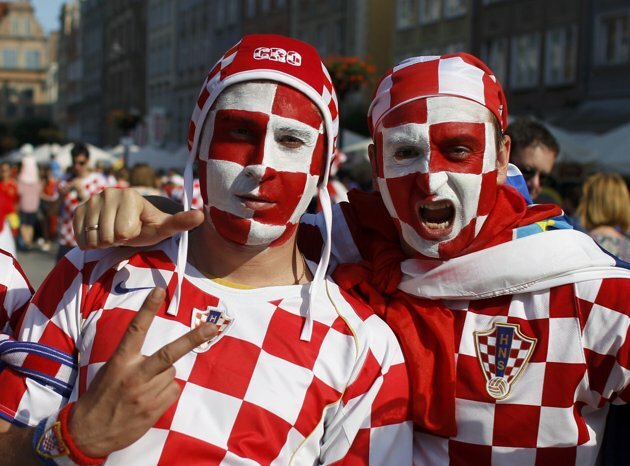 Croatian fans cheer before Euro 2012 soccer match against Spain in the Old Town of Gdansk June 18, 2012. 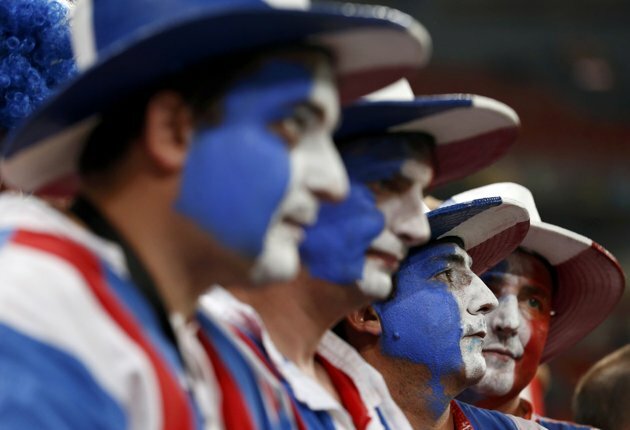 France’s soccer fans reacts to their team’s loss against Spain after their Euro 2012 quarter-final soccer match at Donbass Arena in Donetsk, June 23, 2012. 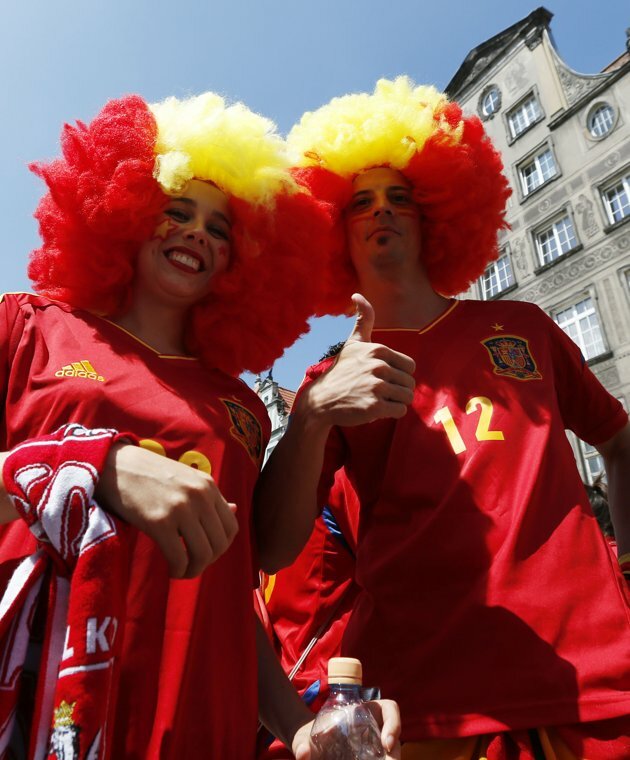 Spanish fans cheer in the old street, before to the match between Spain and Croatia, at the Euro 2012 soccer championship in Gdansk, Poland, Monday, June 18, 2012.